-SG- In our recent posting about the 17C we showed a photo of David's restored 1921 Model. Pleased to say, he has now sent us a couple more (above) including the Bonhams Catalogue illustration from 2012, showing what the rusted remains looked like when purchased. 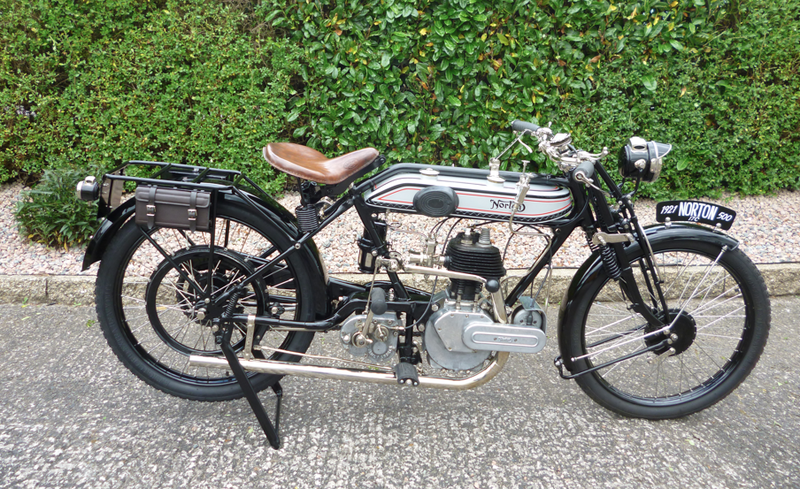 Judging by the evidence, the bike was obviously 'updated' at some period in the twenties as one can see a steering damper, short sporty handlebars, later saddle and, of all things, the back plate for a George Dance knee grip! David was fortunate in that, the same weekend that he bought the bike, he managed to get a suitable rear wheel. 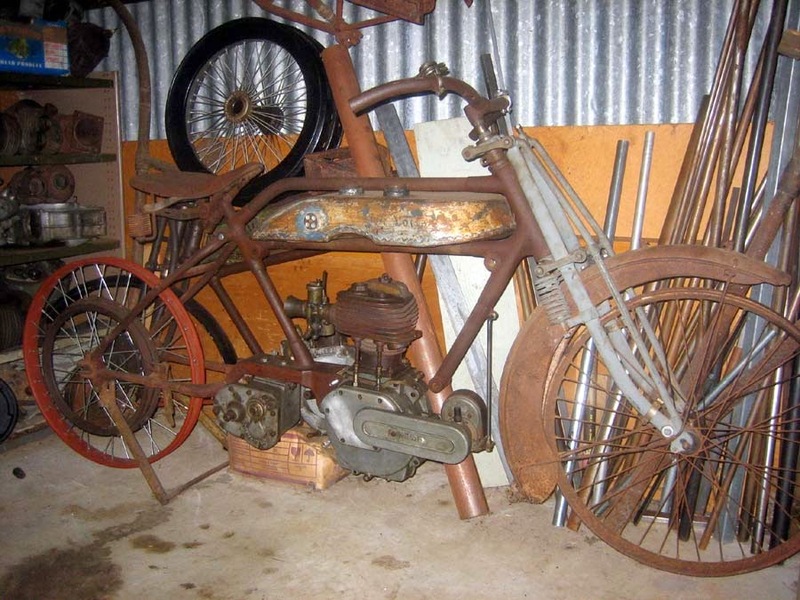 Whether the four spring Druids now on the bike were original or whether it started life with the rather lighter weight forks - see printing block illustration and Leon's partially restored 17C in Australia (photo below) - it is impossible to say. The completed machine is a credit to David's perseverance. 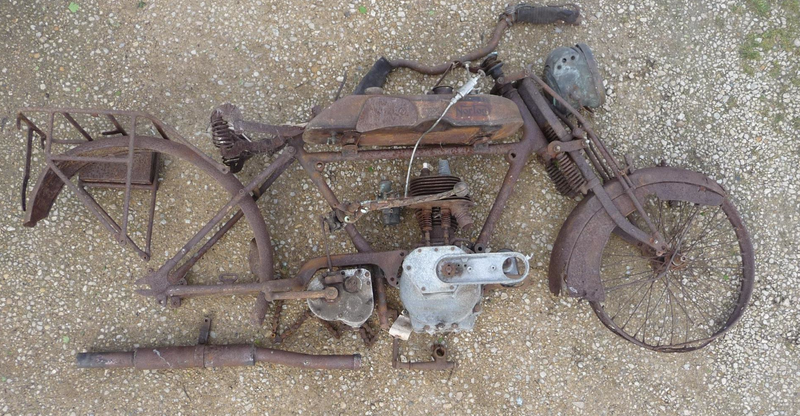 He has retained the steering damper and as found handlebars - and in the interests of actually stopping when necessary has fitted a front hub from a Triumph Tiger Cub. 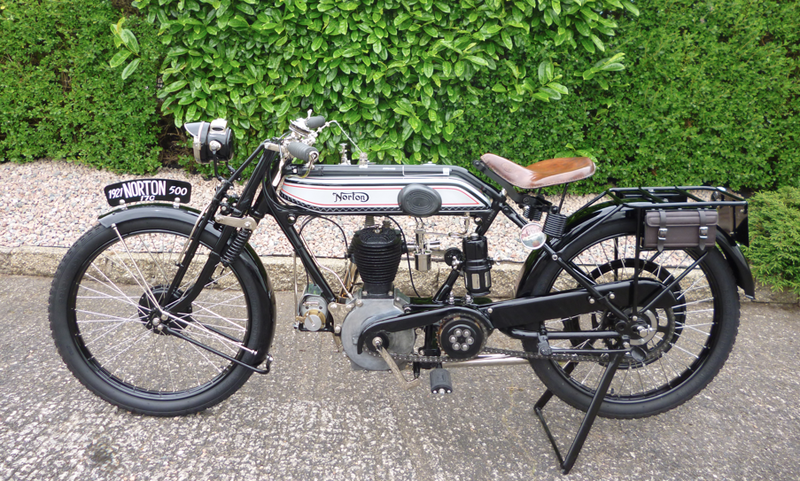 He reports that it runs excellently and completed the VMCC Banbury Run with no problems.